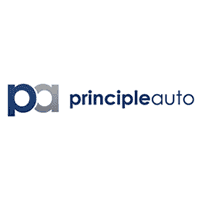 Our mission statement at Principle Auto is “we live to provide exceptional care”. This defines who we are and how we want to treat our customers and each other. We believe high quality care and integrity are general principles that every customer should experience. Learn more about our mission, our purpose, and our promise to you. Why does Principle Auto invest in your community? It provides a feeling of connectedness to our associates and our community. It is good for the soul and allows us to thank those that have helped support us. We don’t just give back to the community because it is the right thing to do; we give back because we want to.